Thumbnails aircraft There are 4 products. 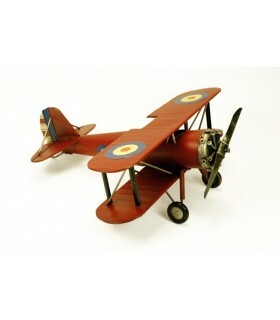 Miniature World War aircraft. Made of metal. Dimensions: 22 x 24 x 10 cm. 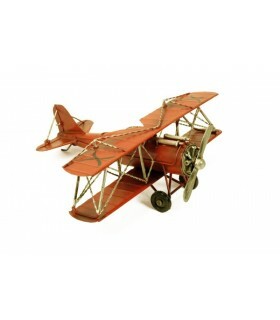 Red Miniature World War aircraft. Made of metal. Dimensions: 33 x 36 x 14 cm. 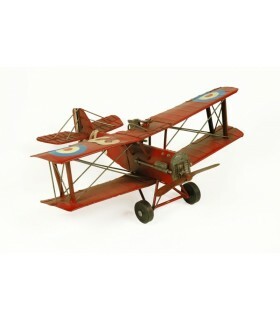 Miniature World War aircraft. Made of metal. Dimensions: 33 x 28 x 13 cm. 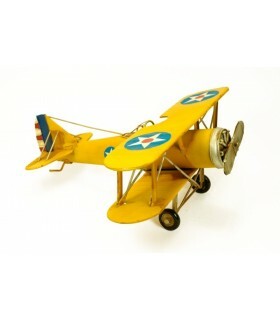 Miniature yellow plane First World War. Made of metal. Dimensions: 36 x 34 x 15 cm.